Guaiol is one of the terpenes that we still don’t know very much about. It does seem to be an effective insecticide, particularly against aphids. It’s also part of an essential oil shown to kill mites and ticks. It has a woody, pine-like fragrance with rose undertones and it’s actually found in a variety of different woods. While most of the research about terpenes is still in the preliminary stage, it’s difficult to find any research into guaiol whatsoever. We still have a lot to learn about this phytochemical. It fights tumors and increases the effectiveness of chemotherapy in mice. Acts as a sedative in fish. It helps kill the parasite Leishmania amazonensis. Part of an essential oil with antioxidant properties. A component of an essential oil that is shown to kill fungus. An element of an essential oil that kills bacteria. Usually, I like to find at least two independent sources (or even better, actual test results) before claiming that a strain has a lot of a given terpene. However, information about this terpene is so sparse that I’m taking this list straight from Leafly. There’s just not enough research into this terpene for us to truly understand its medical potential. One thing we can tell you is that it boils at a rather low temperature for a terpene: 197.6 degrees Fahrenheit. If you want to preserve this terpene when you vape, you’ll need to use a lower heat setting. 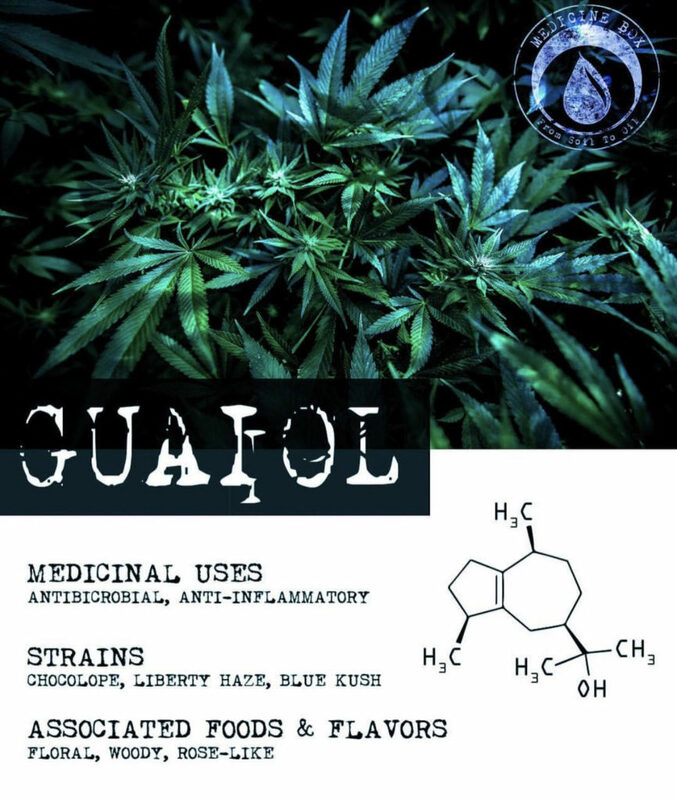 If you know more about guaiol or any of the terpenes we discuss, we would love to hear about it! Have you joined us for Terpene Tuesdays on Instagram? Guaiol seems like a very effective substance in the medical field, I hope you discover more about it. Yes, absolutely. There is not much research on terpenes out there, but WE are consistently discovering more! Please let us know if you find anything applicable.